With Indonesia’s GDP growth expected to reach 5.5% by 2017, the country looks set to be one of the fastest growing economies in the Asia Pacific region. Recent government support has provided a much-needed financial crutch to the country, responding to Indonesia’s previously weak position in the global market by increasing public spending on infrastructure – an attractive move for private investors – while stabilising bank lending levels. For this reason, private investors such as HSBC are openly considering Indonesia as a strategic priority in terms of business growth. Although the government has made positive steps to improve Indonesia’s business climate, care must be taken to ensure that Indonesia’s businesses are well aligned to the global marketplace. 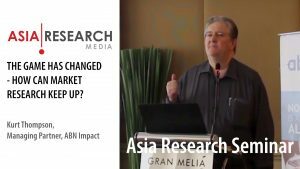 The stagnancy of the market research industry in Indonesia does not reflect the relative boom in GDP, and Indonesian clients seem more critical of new research agencies than they had been in previous years. The Asia Research Buyer Survey 2016 reports a greater number of corporations using in-house analytics teams (69% in 2015, opposed to 96% in 2016) rather than outsourcing their market research. As a burgeoning economy, though, Indonesia has a clear need for market research agencies. So why might there be such caution in the ranks against using them? The most common complaint from Indonesian clients was that agency recommendations were simply not strong enough, either due to a lack of industry knowledge or their undetailed analysis of potential solutions. One way, then, for a market research agency to get around this dissolution of trust in Indonesia is to establish an agency as a specialist authority. Considering one of the major pitfalls found in agencies was their inability to grapple the client’s industry area, tackling one particular area may benefit agencies seeking a foothold. 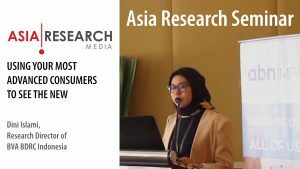 Asia Research got in touch with Perhimpunan Riset Pemasaran Indonesia (PERPI), one of Indonesia’s most prominent activists in the area of market research, to discuss the current and future landscape of the industry. PERPI is a non-profit market research umbrella association operating in Indonesia. It regularly brings together its members to discuss changes and developments in the industry, and actively helps agencies orientate their research through training sessions and workshops. 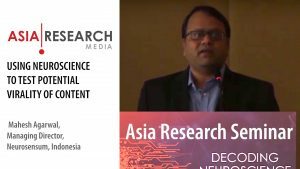 Asia Research just recently sat down with Yanti Nisro, President of PERPI, to discuss the future of market research in Indonesia. In addition to her role as PERPI’s director, Yanti was also one of the association’s eight founders. This dynamic business professional started out as a data processing programmer. Her ambition and expertise in the field soon expanded her career into people leadership and market research, and she has since become the go-to expert in these areas. Yanti has also founded two social organisations: ORSIN and Soroptimist International of Kemang. In addition, Yanti serves as Board Advisor of Akademi Berbagi and Data Science Indonesia. She is currently Deputy Managing Director at DEKA Marketing Research. What is most important to PERPI in the market research industry? PERPI believes that making connections are the best way to develop a strong message about what market research is, and how it can help. One of the real strengths of the company has been to bring together a wide variety people and MR companies, and to improve the market research industry in Indonesia through meaningful discussion. What has been your most satisfying achievement since PERPI’s establishment? I would say it has been seeing people and companies united under our umbrella, and also maintaining solid relationships – even with our competitors. It’s really pleasing to know that our members represent about 85 to 90% of the country’s industry; we have partnered with Esomar and other organisations to secure transparency and communication across all our market research practices. What is it that makes the Indonesian market so attractive to new entrants? Despite the global recession, we have seen a great deal of economic growth in the country. Under President Joko Widodo’s leadership, the country’s financial policies have become more transparent and its political arena has become more stable. This has greatly encouraged investors to consider Indonesia as a viable option. What are the major threats facing the market research industry today? ‘Threats’ sounds too pessimistic; I’d prefer to use the term ‘challenges’. Of course, Indonesia is still a developing market in many areas, and it has been witness to rapid changes across a number of industries. When we add to that the burgeoning digital economy, influx of workers, booming housing industry in Jakarta and fluctuating client needs, market research in Indonesia is hardly a simple task. What we sorely need are more insights and comprehensive findings about the current state of play in this rapidly evolving country. For that to happen, market researchers will need to become responsive specifically to Indonesia through developing their knowledge of the country and showing a willingness to innovate. PERPI helps this process by bringing market researchers together to discuss country-specific trends and leads. What’s the most important initiative you’ve implemented as President? There’s still a great deal to do, such as aligning PERPI with other industries and government initiatives. However, I have been quite proud of our drive to engage PERPI members; we are much more communicative with each other than market research industries in some other countries. We have also developed ‘young leadership’ programmes, the participants of which will likely shape the future of our industry, and we host regular breakfast meetings with a variety of speakers from the market research industry and beyond. What key developments do you see in the research business in Indonesia over the next five years? The next five years are very important for Indonesian market research. We will align ourselves much more with the digital world, as I believe that online research – particularly the possibilities of big data and social media channels – is the future for our industry. What are your hopes and aspirations for PERPI? My hope is that PERPI will take a larger role in the industry and in Indonesia, and also that it will find more locally based leaders; people who really know and understand the country, its culture and its citizens. Finally, do you have any personal comments or a favourite inspirational quote?